How do you combat the winter blues? By planning your dream honeymoon, of course! Ok it might almost two years away but a girl can dream right? We are true nature lovers so top of our honeymoon priorities will need to be unforgettable animal encounters and outdoor activities. We have a huge bucket list of destinations we want to see in our lifetime together, so as you can imagine picking our top 10 was soooo hard, however we have managed to narrow it down to 10 unforgettable activities, from sleeping under the stars on safari to planting coral reefs in the Maldives, now just to choose one! The only way to describe the Maldives is ‘paradise’. Jess and I were very lucky to have won a holiday there last year and it was everything we had imagined it to be and more. Made up of lots of tiny, picture perfect coral islands and surrounded by crystal clear waters, holidays in the Maldives can be as laid back or as adventurous as you want them to be. Choose to stay in overwater beach huts, rustic jungle retreats or on a stunning beach villa. A honeymoon in the Maldives might not sound like something for the adventurers amongst you but don’t be fooled, there are lots of water activities for sea life lovers. We swam with whale sharks, dolphins, turtles and saw so many different species of corals and fish that I couldn’t keep count. This really would be a trip of a lifetime. An African safari is so high up on our bucket list that it is practically off the charts. Sanctuary Makanyane certainly has the wow factor for us, tucked away in the wilderness your lodge is surrounded by lush forest setting with awe inspiring views of the tranquil Marico River. This reserve is one of the largest in South Africa, is responsibly managed and has an abundance of the Big 5, a myriad of bird species, cheetahs and brown hyenas and is also the best place in South Africa to see wild dog, also called “Makanyane”. Wildlife lovers will know all about the plight of the endangered Hawksbill and green turtle. Between October and February these turtles lay their eggs on the pristine beaches of the Seychelles under the supervision and protection of the one of the longest running monitoring programmes. I am very lucky to have already witnessed this spectacle first hand in Borneo but I would absolutely love to see it all again and share it with Mr T. He is a huge lover of Tortoises and Turtles, so much so, his nickname is ‘Turt’, so this would be his dream! There are many experiences you can have with elephants in Asia. Before I knew better, I rode an elephant in Borneo. It was an amazing experience and one I will never forget, but it left me feeling guilty (although the elephant was very well cared for!) and I have since been more interested in ethical elephant experiences. Something we would love to learn is how to be elephant Mahouts. This is where you are taught about the importance of elephant husbandry and care, correct eating, sleeping, bathing and exercise. They are not trained to perform tricks and instead use elephant riding as a gentle form of exercise and stimulation, rather than making them trek through forests for hours with a heavy chair attached to their back, which is most unnatural to them. There are many elephant parks that offer this experience some are better than others, just make sure the one you choose, offers the elephants plenty of rest time away from tourists, with plenty of food and freshwater. Try to avoid trekking camps that use chairs as these are too heavy for the elephant, instead you should be allowed to ride the elephant just behind its ears. Finally try to seek mahouts that do not use bull hooks, some will insist this is necessary, which is arguable, but you can check they aren’t misusing them by ensuring the elephant is free of cuts near its ears, mouth or armpits. Every time the subject of travel comes up, both me and Mr T always reflect on how much we would love to go to Australia together. He has been fortunate enough to visit 3 times now; however this is one place I am yet to venture too. Australia seriously has it all, ancient rainforests, the Great Barrier Reef, Aboriginal culture and historic landmarks. Mr T always tells me how much I would love it, with its rainforests and reefs, vast outback and unique wildlife; it really would be the experience of a lifetime! Arguably the most popular animals in Australia, the Tasmanian Devil is notorious for being a little cranky but is sure to capture your heart. I have always wanted to see one in the wild however this is starting to look less likely as this cheeky devil is officially on the most endangered list. The race is now on to preserve the species, with a number of organisations participating in conservation projects and some of which you can visit such as Devil’s Ark. Borneo holds a very special place in my heart. I will never forget my time there and I dream about going back with Mr T all the time. It is a place of adventure and most importantly home to my favourite animal, the Orangutan. The main draw for me was having the opportunity to see this awe-inspiring animal in its natural habitat, swinging through the rainforest. It was an experience like no other! There were so many highlights for me but one in particular was Sepilok Rehabilitation Centre, a reserve set up to protect and care for injured and orphaned Orangutans. The experience was truly magical; it brings tears to my eyes just thinking about it! There is so much to tell you, so if you want to know more be sure to check out my guide. 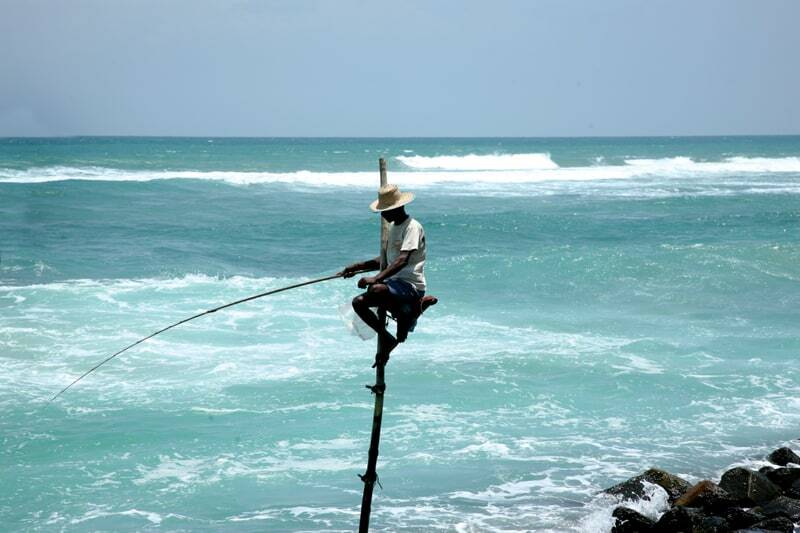 Famous for its untouched beaches and abundance of wildlife, Sri Lanka has recently made its way onto our bucket list. I will admit it is an island we know little about, however with stunning national parks, luxurious safari’s and an abundance of wildlife such as Elephants, Leopards and Birds, it is safe to say this is every nature lover’s dream! How could you not go to Cape Town and not visit one of its popular vineyards. Personally I think all the best wines originate here and I think Mr T would agree with me. Another island that has recently made its way onto our bucket list is Bora Bora, just the pictures make my jaw drop! I recently discovered that Bora Bora is in fact home to the largest open air aquarium in French Polynesia, otherwise known as a lagoonarium. Here you can take a canoe out onto the lagoon to feed sharks and stingrays. How awesome is that! Are you planning a honeymoon? Where are you heading? For more information on any of the above check out The Turquoise Holiday Company, recently named the UK’s Best Tour Operator in the 2015 Conde Nast Traveller Readers Awards. Wow Bora Bora! All looks amazing.